In the School Committee Legislative Forum, much discussion was on the reforms to the state's education funding process. Given the major hearing on Friday, the legislature is showing that the issue will be addressed. What the resolution will be remains to be seen. 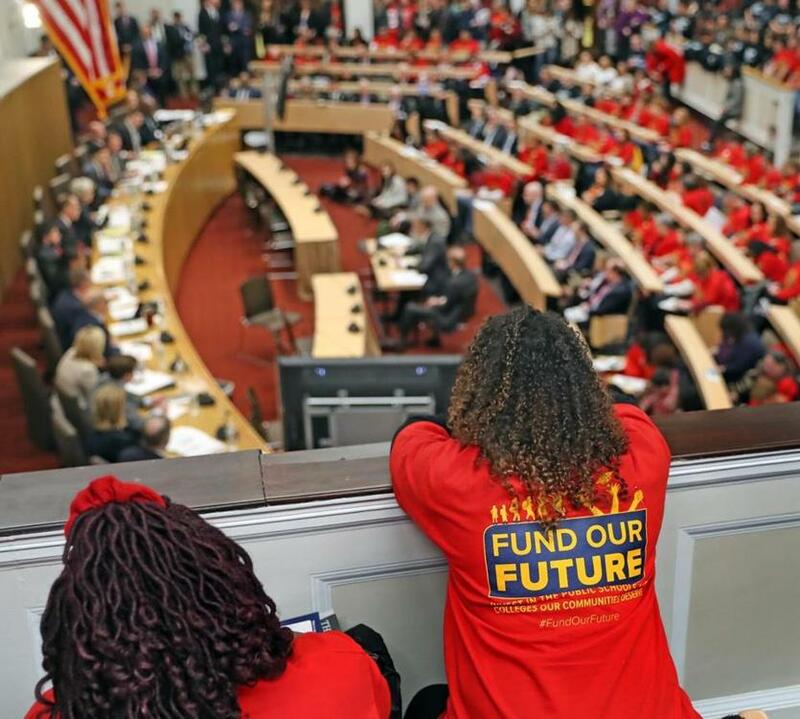 "In this year’s first major hearing in the debate over education funding on Beacon Hill, dozens of mayors, teachers, school officials, and even a quartet of New England Patriots players urged lawmakers to boost aid to urban districts struggling with growing populations of high-need students and steep budget cuts. Brockton School Superintendent Kathleen A. Smith captured the argument of those demanding an overhaul of the state’s school funding formula, telling lawmakers that her city in 2017 spent just $1 on supplies per student, while wealthy Weston spent $275 per pupil. “I am saddened and dismayed that after five years of coming before you more than a dozen times to advocate for our neediest students, I am once again asking you to act and update a 25-year-old funding formula that is broken and no longer serves the needs of the increasingly diverse student population in our Commonwealth,” Smith, whose district has been contemplating a lawsuit over school funding, told members of the Legislature’s joint committee on education during a packed hearing Friday." Unfunded Mandates are also a cause of concern for school and local budgets. A bill currently filed would increase steps to test for lead in school drinking water. "Lawmakers on Beacon Hill are pushing legislation aimed at improving the safety of drinking water in schools in part by requiring schools and child care centers to test every drinking water outlet each year for elevated lead levels. Legislation on tap in the Massachusetts House and Senate would force schools to immediately shut off drinking water outlets that show elevated lead levels. The water outlet could be turned on only after it has produced at least two sets of certified test results showing no elevated lead levels."